Nissan Frontier Forum > Nissan Frontier Forums > General Discussion > Best Mods For Under a Hundred Bucks? Best Mods For Under a Hundred Bucks? I'm going to be doing a few little things to the old girl and got wondering what people thought the best mods for under a hundred bucks are. Anyone have any other ideas? I bought a wiring harness, switch, and two flood lights for under $60. Let the mods begin! The project list can be found in the Geek My Ride Garage! Previously owned a 1985 Nissan King Cab 4wd and a 1980 Datsun 2wd Pickup. That sounds cool! is there a kit that i can use to remotely unlock the tail gate? how did you do it? #1 is best. Please explain #6....never heard of that. 2013 CC 4x4 SV VTP in "Night Armor"
Squall_Line_ -You can re-program a Nissan Rogue key to work with the Frontier key. The Nissan Rogue key has all the unlock, lock and panic buttons built into the key, instead of needing the separate fob. You just need the Transponder from one of your Frontiers keys to make it work. 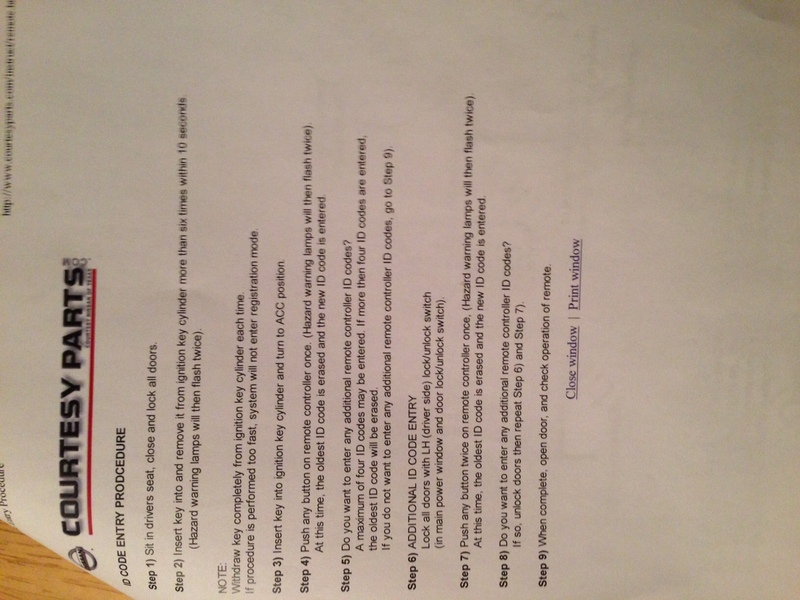 I just attached a Pic of the instructions i have to do it all. geekmyride- that would be great! I'll look forward to having a read! That sounds pretty trick, i like it! Here's the link to the tailgate lock kit. I just installed this last month. Really awesome. -3M clearbra front, rockers, rears. I also did this. It's one of the most convenient mods out there. It took me about 40 bucks in parts and an hour of time. Link to the easy DIY mods thread.